Our range of products include automatic boom barrier, automatic boom barriers, automatic barrier, automatic toll boom barrier, steel road barrier and road barrier. We are considered as one of the distinguished manufacturer of an assorted gamut of Automatic Boom Barrier. The offered boom barrier is widely acknowledged across the market. Our industry experts manufacture this boom barrier from the supreme quality raw materials in sync with the defined industry norms. 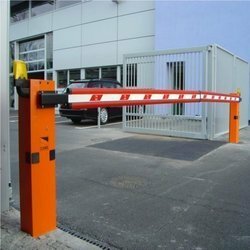 This boom barrier can be purchased from us at nominal prices. 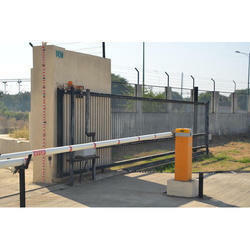 We have emerged as one of the leading manufacturer of a wide range of Automatic Boom Barriers. Our barrier is designed and developed by our professionals using superior quality raw materials in conformity with the international quality standards. This barrier is available in various lengths and widths in order to meet the different requirements of our clients. 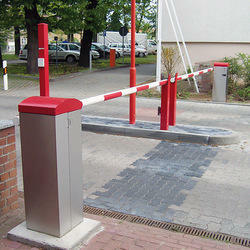 This boom barrier is well known for the elegant design among our prestigious clients. 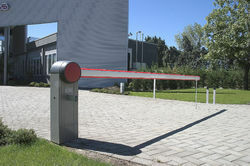 We are engaged in manufacturing and trading an impeccable range of Automatic Barrier. Used to control Vehicle entering. Automatic Barrier 75000 rs to 150000 rs each 3 mtr. 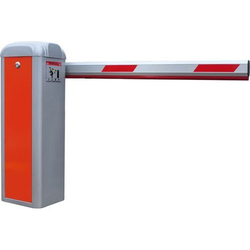 Backed by a team of professionals, we are into manufacturing of Automatic Toll Boom Barrier. The offered product is manufactured under the guidelines of our strict industry norms. We manufacture a wide range of Steel Road Barrier. This is made available in a variety of designs and shapes. The barrier offered by us is designed by our skilled professionals by using premium quality raw materials in compliance with set industry norms. In order to cater to variegated demands of clients, this barrier can be customized in various specifications. Moreover, our clients can avail the offered product from us at market leading prices. Steel Road Barrier manual 35000 rs each 3 mtr. Our renowned company has emerged as the foremost manufacturer and supplier of the finest quality Automatic Road Boom Barrier. This is precisely designed as per the set norms prevailing in an industry by utilizing optimum quality raw materials and sophisticated techniques. Further, the offered product is thoroughly checked on various quality parameters to ensure flawlessness. Besides, we are introducing this range in the myriad of designs and patterns at reasonable prices. Automatic Road Boom Barrier 75000 rs each for 3 meters. 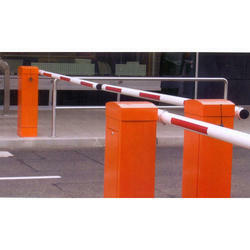 Pioneers in the industry, we are offering an excellent range of Traffic Road Barrier. This traffic road barrier is designed using high quality raw materials and other allied material under the guidance of our quality controllers. Apart from this, to meet the variegated demands of our clients, we offer this product in several specifications. Keeping an eye on current market trends, our diligent workers toil hard to design this barrier for style conscious clients.